Convenience and comfort may not be two things you are used to having on the jobsite, but add this CAT Apparel Men’s 1910045 95G Black Flame-Resistant Banner Hooded Work Sweatshirt to your men's workwear, and you'll certainly enjoy the features it has to offer. 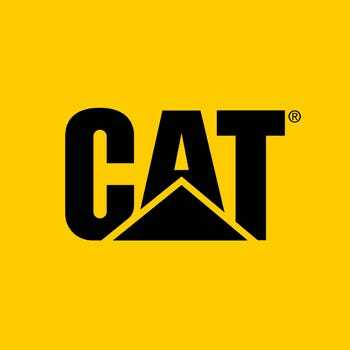 ... (see full details) (see specifications) #CAT1910045-95G. Convenience and comfort may not be two things you are used to having on the jobsite, but add this CAT Apparel Men’s 1910045 95G Black Flame-Resistant Banner Hooded Work Sweatshirt to your men's workwear, and you'll certainly enjoy the features it has to offer. First of all, this is a heavy-duty men's sweatshirt that feels more like something you would wear to a tailgate. In fact, you may love this one so much, you might start wearing it for leisure as well. Its flame-resistant status and UL Certified to NFPA 2112, NFPA 70E, HRC/ARC3, ATPV Value: 33.6 ratings all mean you'll have safety, and that this is compliant with these specific workplace requirements. Its jet black fabric and CAT logo on the bottom right corner will make sure you stay looking good, while showing off the Caterpillar brand you love. The 14.5-ounce, 58% cotton, 35% modacrylic, and 7% polyester means you’ll staying warm. Finally, the DWR (durable water-resistant) finish for water-repellency and anti-odor, moisture-wicking fabric on the flame-resistant hoodie means you’re staying dry. What more could you want? How about a front handwarmer pocket with hidden cell phone pocket with hook and loop closure? Your phone won't fall out as you move if you keep it closed in there. Also added to the CAT sweatshirt is a wire management system to secure your earbud or headphone wires inside for your convenience, and the S3 cord management system is designed for increased safety on the jobsite. Finally, the 3-piece self-lined hood with drawcord keeps out the chill, and the heavyweight rib knit cuffs and waistband with spandex will be flexible and comfortable, but will not lose its shape over time. Comfort. Convenience. Compliance. Everyone is happy when you wear your CAT Apparel Men’s 1910045 95G Black Banner Hooded Flame-Resistant Sweatshirt to work. Make the investment today. You won’t regret it! This was a perfect purchase. It fit very well, it washes excellent, keeps you warm, hold up in the weather. Am now purchasing the CAT hooded sweatshirt with am full zip. These are both FR sweatshirts. CAT Apparel Sweatshirts: Men's 1910045 95G Black Flame-Resistant Hooded Sweatshirt is being added to your cart.